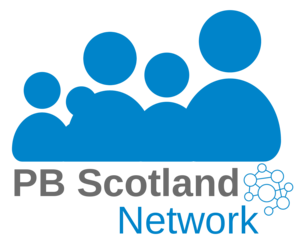 Participatory budgeting (PB) is recognised as a tool for community empowerment and fits with the Scottish Government’s overall goal for local governance and public service reform. Since 2014 the Scottish Government has invested over £4.7 million in a range of measures to support the introduction and development of PB in Scotland. Subsequently, in 2015, the Community Choices Fund was introduced to provide financial support for PB across Scotland. PB is considered to have important potential in helping individuals feel connected to each other and to their communities, overall instilling a sense of ownership, trust and connectivity. However, a better understanding of the opportunities and challenges conferred by PB are required to ensure that the process meets local priorities effectively now and in the future. Attend this timely Holyrood briefing on 27 March to understand how to effectively facilitate PB in your service. This event will bring together expert speakers and delegates from community development, engagement and planning backgrounds to understand the opportunities and challenges presented through the process of PB, and how to effectively manage them. Key organisations will share learning for best practice, and examine how to ensure that people are given an equal opportunity to participate and have their voice heard in local priorities. More about the event and how to book here.